Vintage Diamond Ring in 14k Rose Gold | Shane Co.
Two brilliant round, at approximately .05 carat total weight, come together with intricate milgrain detailing to create this striking halo ring. 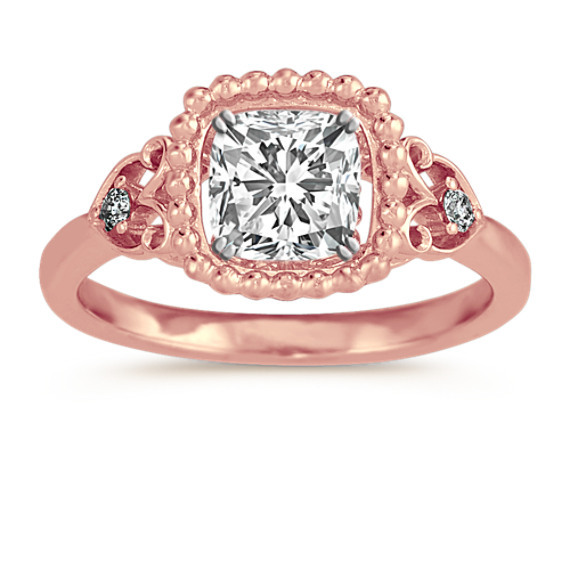 Set in a quality 14 karat rose gold, this vintage inspired setting awaits the 1.00 carat center gemstone of your choice. This ring measures 9.5mm at the center and 2mm at the band.